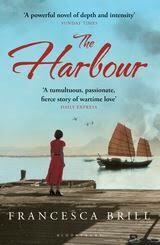 A day seminar on the practicalities of getting published in discussion with the author of The Harbour Francesca Brill and the editor of the Writers and Artists Yearbook 2014 Alysoun Owen. I wasn’t sure if I was ready to attend a seminar of this nature. I’m serious about wanting to have a writing career, although the glamorous notion of this being my only career is many moons away, if at all. I’m so glad I made the effort to go, it was exactly what I needed. The seminar was attended by fellow writers at varying stages of their writing career, with varying degrees of success, including some who had been published; the Holy Grail! Being a writer is often an insular job. I sit alone in a room behind my PC for a differing number of hours per day downloading my ideas onto a blank page, in the hope that one day someone out there will read what I have written and enjoy it. What I find hard is making contact with people who can help you further your skills. People who are willing to critique your writing and offer feedback. People who might like what you have written and pass it on to a friend of a friend who knows someone who works in publishing giving you your big break, well if we are daydreaming aim high! What the seminar gave me was a clearer understanding of the route I will need to go down to get my work published through traditional publishing. A truly scary prospect but one that Francesca was more than willing to talk about. I had no idea that people are considering how to market your book and who will purchase it before the publishing company even gives you a contract for the rights to your work. 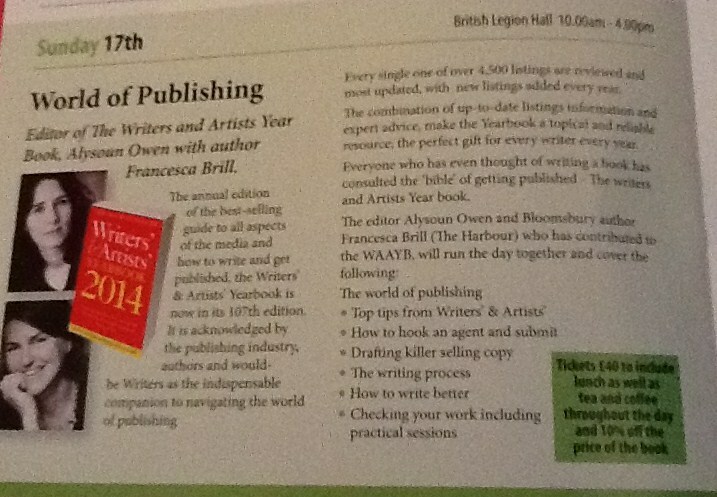 We also discussed the self publishing route as a fellow writer had tried selling their work through Kindle. Obviously this is an option if you want to increase your ability to sell yourself to an Agent or Publisher later on, if 10,000 people have already purchased your book you have done some of their work for them! The reality that 10,000 people buy your book is incredibly remote but a few people have managed it. I took away a lot from the day. I met some fellow writers who invited me to join their writing group which I must make an effort to attend in order to get some invaluable honest feedback on my work. I now have a clearer idea of the questions I need to be asking myself on this writing journey I have begun. One questions is do I consider myself to be a writer or an author? I see myself as a writer. You can argue the two are the same thing, but an author is the whole package. Someone who isn’t afraid to stand on a box or go on TV and shout I’m an author. A writer can be so much more, I write this blog, I had some words published in a HuffPost article I see myself as a writer. I also need to consider what I want for my work. Do I want to be a millionaire? If so I’m going to have to be prepared to do a lot of hard work to achieve it. Even being a traditionally publishing author doesn’t mean the work stops, I will still have to promote myself and make sure my book is getting the publicity it needs to sell and then I won’t be earning the kind of money you would expect. It is perfectly possible for you to have a published book that sells a reasonable number of copies and not earn enough money from it to go on holiday. In my “real life” I call it that because my writer identity feels different from my everyday one. The person who switches off the computer to go to the office and do the day job every afternoon is not the one who rattles out pages of text in the morning. My real life career has given me the time to write over the last few years but I need to re-dress the balance now so my real life can afford me the financial indulgence to support my writing. The career I look to take on now will have to live hand in hand with my writing career so I need to choose something that will be mutually beneficial. I need to decide why I want to be published. Is it for the general public to read, in which case I can do this for free by using sites like Wattpad. Do I want to make money, in which case I can upload my work to a site which takes payment for my work like Kindle. Do I want to make enough money so I can have a sole writing career in which case traditional publishing would probably be my starting place. There are no guarantees that traditional publishing will earn me more money than self publishing and it maybe the case that I need to do both and retain the rights to the digital publishing arms of my work to maximise my earning ability. Without the seminar yesterday I would have been completely unaware of these facts. I came home full of ideas and positivity. Francesca and Alysoun made me feel like I was on the right track and gave me some positive feedback that encouraged me to want to work hard, consider my goals carefully and plan how I can achieve them. 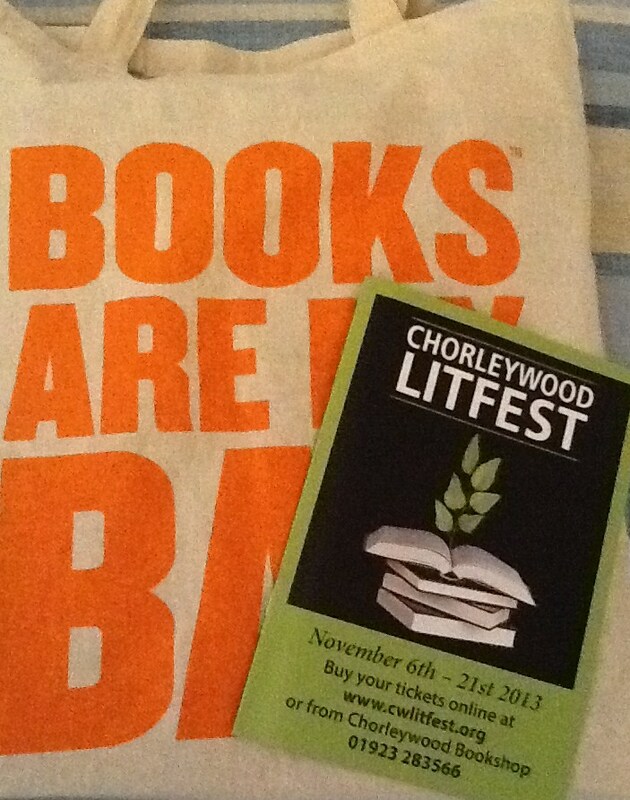 I’m glad I read a little advert in Writing Magazine advertising the Chorleywood Literary Festival, had I not I would never have known it was there. I mentioned the advert to the lady making our lunch, to find out she was the one who placed the advert! I’ll definitely be putting the Festival in my diary for next year.